The final Carna4 website at http://www.carna4.com. Challenge: A start-up company developed Carna4, a first-of-its-kind synthetic-free dog food made with sprouted seeds. Carna4 hired me to help launch its product into a crowded market with many cynics, due to tainted pet food scandals. My role was to develop a marketing plan, including a value proposition, social media and web content strategy, then implement it. To help customers navigate the complex world of pet food and nutrition, I worked with the web team to integrate mouseover definitions to key terms. Implementing a Solution: I began with a pre-launch, online survey to identify the audience’s interests and unmet needs. I also conducted extensive secondary and competitive research. I developed a robust, customer-centric web content strategy that gave Carna4’s prospects canine nutrition, product and pet care information, along with an intuitive architecture. With research and the client’s input, I wrote the site’s copy in a warm, folksy but informed voice. I then collaborated with the client, graphic designer and development team to create, load and format the site’s content in WordPress, using basic HTML. 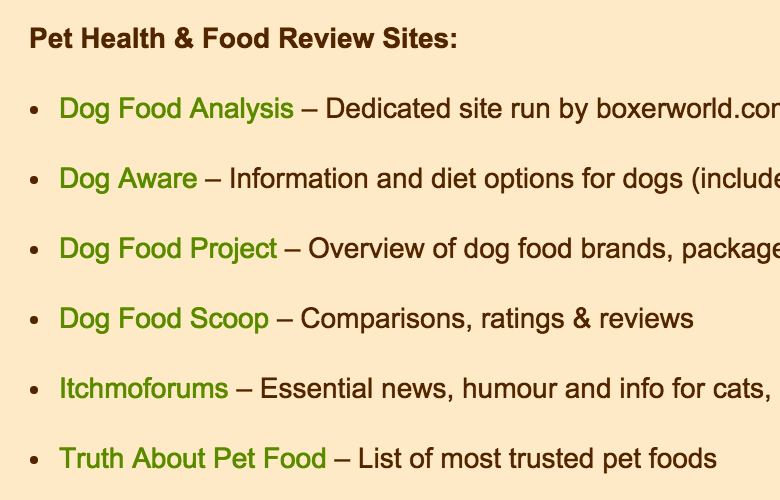 In the spirit of transparency, the site included links to third-party pet food evaluation sites that customers could follow to fact check or learn more about pet nutrition and Carna4. I also repurposed the site’s voice, value proposition and other components across multiple platforms, including a blog, social sites (Twitter and Facebook), in-store sales tools, media collaterals and a consumer brochure. Results: The website won a MarCom Gold 2011 Award (Small Business Website) and within its first two months, 174 dog owners signed up to receive the blog. Within eight months of Carna4’s launch, it expanded into five new states, was carried by 175 stores and a breeder who discovered Carna4 on Twitter became a top dealer. By yearend, Carna4’s Facebook was achieving 5% engagement on its posts. The brand continues to thrive and expand its product line.